Jewish funerals are guided by a beautiful and meaningful set of rules and traditions that have helped families move from “grieving to remembrance” for thousands of years. Since these traditions can vary by community or denomination (Reform and Orthodox traditions will be somewhat different, for example), seeking guidance from your local rabbi will ensure that all specific considerations are met and respected. The following is intended to provide a general overview surrounding Jewish funerals. The focus of a Jewish funeral service is to respect, honor, and remember the departed. Remembering the loved one often has the benefit of helping to console the family and friends, but the formal consolation of the mourners comes later, after the burial. Until then, the honor of the deceased remains the primary concern of the Jewish funeral service. When and Where Can I Have the Funeral? The time interval between death and the funeral should be as short as possible. Burying without delay is an important aspect of showing respect for the dignity of the dead. One must strike a balance, however, between the respect accorded by prompt burial and the respect accorded by a proper, well-attended funeral. Consequently, a valid reason for delay might be the need to wait for the delivery of a proper casket, or to wait for the arrival of close relatives. Also, funerals are not held on the sabbath. 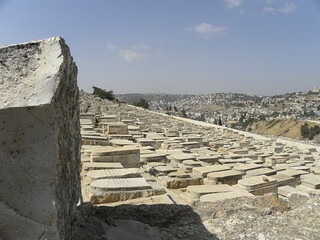 Depending on the local custom, Jewish funeral services may take place in the home of the deceased, in the synagogue, or in a funeral chapel located either in the funeral home or in the Jewish cemetery. A Jewish funeral usually starts with a eulogy, delivered by the rabbi, a community leader, relatives and/or friends of the deceased. The memorial service consists of recitations from the Book of Psalms and the Book of Proverbs and is followed by memorial prayers. There is also the rending of clothes as a sign of grief. A prayer, psalm or verse might be added and the sequence of the funeral service may vary according to customs of different communities. It is not uncommon, for example, to start with rending of garments and then proceed to the memorial service and eulogy. One should follow the local custom, or ask a competent rabbi for guidance. Those who attend a funeral should dress conservatively, although, most people do not follow the custom of wearing black as a sign of mourning. They should also have clothes that are appropriate for rending although in some communities, a ribbon is provided and attached to the clothes and rend instead of the clothes. The eulogy is a very important part of the funeral service. In fact, it is so important that a funeral may be delayed in order to arrange for a proper eulogy. The function of the eulogy is twofold: one aspect of the eulogy is praising of the deceased, another aspect of the eulogy is weeping for the deceased. The eulogy should be balanced and not an exaggeration of the person’s qualities. Click here for more advice on writing a eulogy. Embalming and other ways of cosmetically enhancing the appearance of the body should be avoided with the key thought being that the deceased should be remembered as a living person, who contributed much during his or her life. The value of what they did in their life should be the focus, not an artificial appearance. The Mourner’s Kaddish, a prayer in honor of the dead, is said during the funeral. Following the burial, an intense seven-day mourning period, called sitting shiva (literally “seven”) begins. During shiva, the first-degree members of the family of the deceased gather at one home, often the home of the deceased, and receive visitors. Mourners also cover mirrors, sit on low stools, and avoid wearing leather. The full mourning period lasts a year, after which mourners observe the anniversary of the departed’s death. Caskets for Jewish funerals should be made exclusively of wood, and should not include metal fasteners, nails, decorations, or handles. The concept is that the casket should be consistent with “dust to dust.” Special caskets designed exclusively to meet Jewish funeral needs can be obtained from your local Authorized Remembrance Process funeral home or cemetery. It is an ancient Jewish custom to make donations to Jewish charities at the time of the funeral. Making contributions to charity is a positive act that can help families deal with the loss of a loved one. For more information, visit JewishFuneralGuide.com for additional detail about Jewish funerals.